When I got home last night in my inbox was an offer for a volunteer position at the 2010 Olympics working with the Freestyle Snowboarding and Skiing team. I of course accepted the offer right away. I will be working with the maintenance crew maintaining jumps, landings, moguls, etc. Essentially, I assume, I will be standing out in the snow all day with a shovel – although it doesn’t sound very glamorous I’m very much excited to be part of this historical event. Canada has hosted the Olympics only twice before. The first time was in 1976 for the Summer Olympic Games in Montreal and the second time was at the 1988 Winter Games in Calgary. Both times Canadians did not win a Gold Medal in any event. 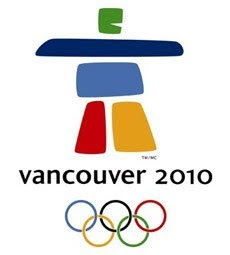 It is the hope by many that the 2010 Games in Vancouver will be different, and I have a chance to be part of that. I’ve got quite a bit of preparation to deal with before I go. Essentially I will be gone for a month and have to figure out accommodations while I am in Vancouver, perhaps subletting my apartment, finding a place to store my car, arranging a deal with work and booking a flight. All of these things cost money, and as you may know I don’t have a lot of it. If any of you who read this blog want to help my plight, please spread the word and/or donate what you can. On the right side ---> yup right over there - is a Donate Button, and anything will help – 50¢, $1, $10, whatever you can spare.